Buntfink, Hope Will Lead, Natalie Lindi, Emma Moore, Laura Goldthorp, Short Stories For Commuters, Shakila K, Momentos Wien, Vienna University Choir, Open Ears Concept, Hydrant, Lucas Murphy, „Let`s Jam“ – series with Michael Fink, Alexander Putz, Wolfgang Taupe and Luk. 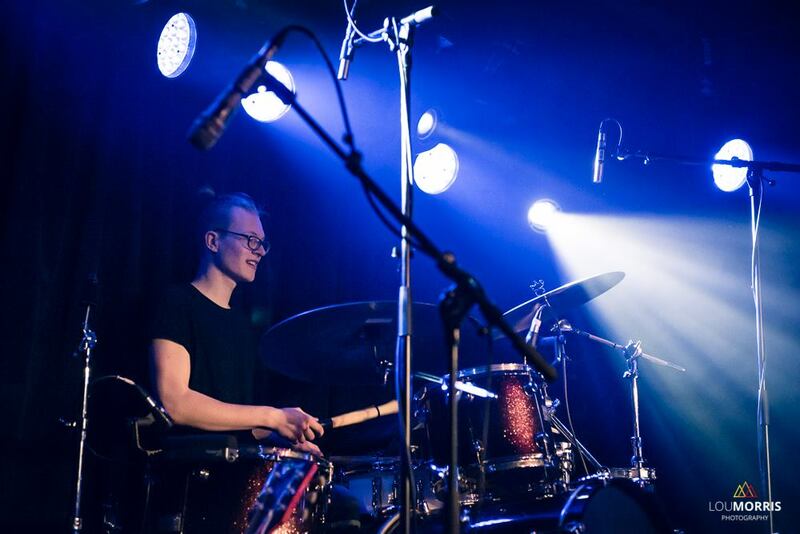 Northern German musician and drummer Lasse Corus discovered his love for music while creating soundtracks to Buster-Keaton movies back in 2010. In the following years he played all kinds of music in school ensembles – including the performance of his first own songs and arrangements with the school choir. At that time he was also part of the creative network ‘Open Ears Concept’ and won an advancement award at ‘Verden Jazz & Blues Days’. After finishing his A-levels in 2015 he moved to Vienna to study Jazz- & Popular Music. He played concerts in locations like the ‘Vienna Concert House’ and started to play in groups such as ‘Buntfink’ and ‘Hope Will Lead’. In 2017 he was part of launching the new independent label ‘corus records’. Later that year Buntfinks Debut-EP “Waiting For” became its first release. 2018 he moved to London to finish his Bachelor degree at the ICMP. There he leads the focus back on his songwriting and will present first songs in 2019. He is also in great demand as a drummer and will take part on concerts and releases throughout the next months.